Sign the petition for Congress to renew and extend federal unemployment benefit programs through 2011. United Farm Workers say indigenous workers from Mexico have been insulted, abused and discriminated against by supervisors at Giumarra Vineyard. Take a stand. 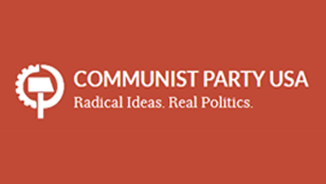 The Communist Party USA offers an initial analysis of the election results in which Democrats suffered a serious setback in Congress. Join with labor and people's movements to mobilize voters for critical Nov. 2 midterm elections. The FBI is targeting peace and solidarity activists. Tell them free speech and political dissent are not aid to terrorists.